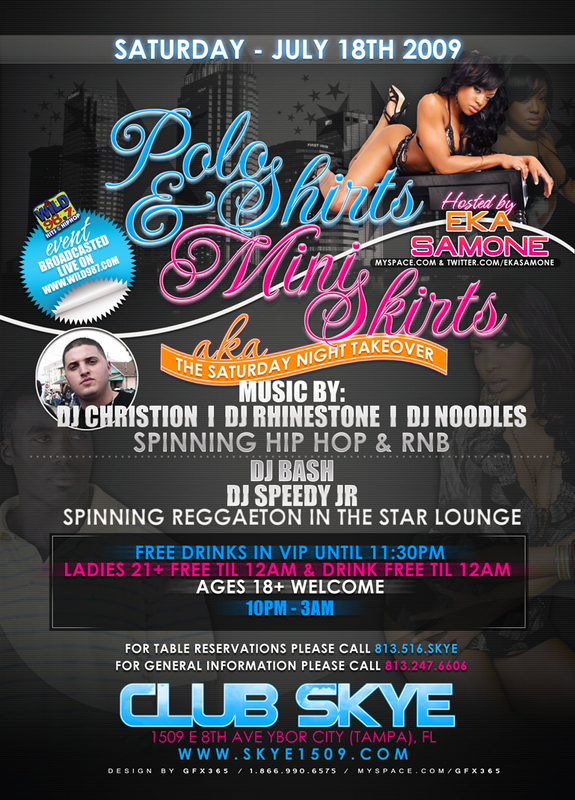 This upcoming weekend the city of Tampa will be on HIGH ALERT once the sensational 1/2 Dominican, 1/2 African-American doll Eka Samone steps foot on the premises! 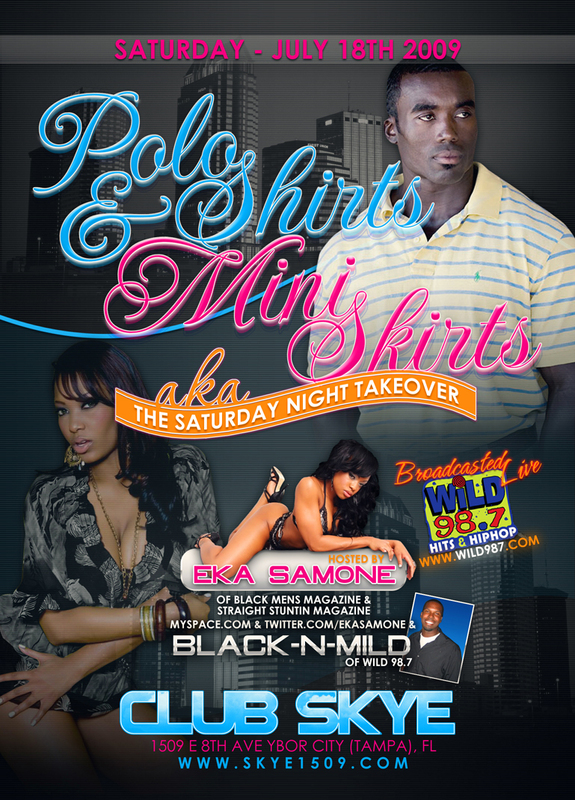 WiLd 98.7 alongside Club Skye are delighted to bring you “Polo Shirts & Mini Skirts” aka “The Saturday Night Takeover” hosted by Eka Samone & Black-N-Mild of WiLd 98.7. Eka Samone is featured in last months issues of both Straight Stuntin’ and BlackMens Magazines so make sure you go to both www.StraightStuntinMagazine.com & www.BlackMenpub.com and get both issues STAT! Recession got your pockets lookin’ funny? It’s cool…just head on over to www.myspace.com/ekasamone to send request and as always, follow her on Twitter at www.twitter.com/ekasamone. You see the roster! 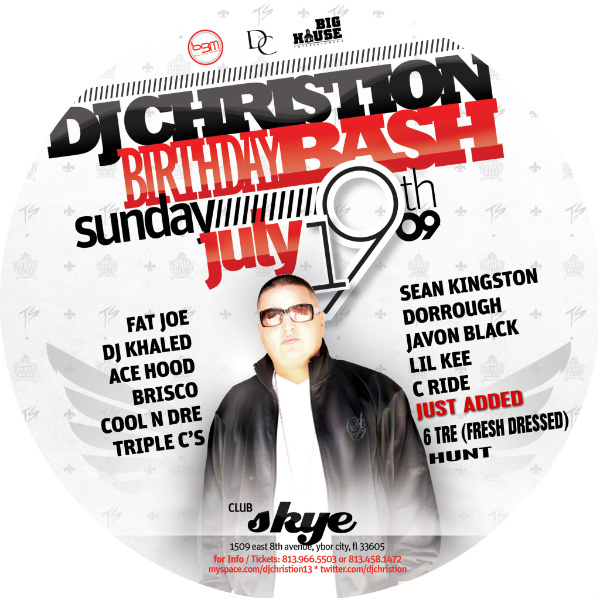 If you are in Tampa this weekend make sure that you are CLUB SKYE both Saturday and Sunday nights for the two DOPEST parties all weekend! All press, media, appearances, bookings, & general inquires for Eka Samone can be directed to Tuesday Knight at tuesdayknightpr@gmail.com.